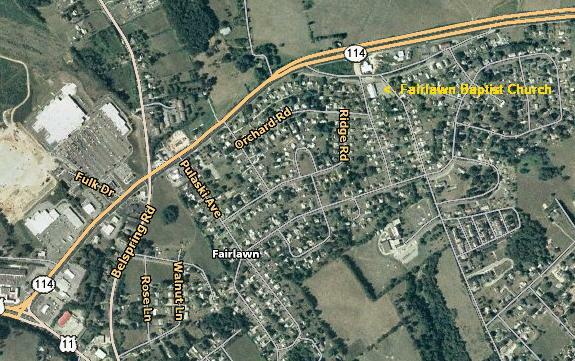 Fairlawn Baptist Church is located just off VA state route 114 on Old Peppers Ferry Loop in Pulaski county in the Fairlawn community north of Radford. It lies between Oxford Avenue and Dudley Ferry Road. There is parking on either side of the church.